Don’t get bored this winter – make some simple and stylish outdoor furniture and yard décor for next summer’s outdoor gatherings! How? Come to a talk by woodwork artist Katie Jackson on Saturday, January 7th from 10:30am to noon at the Danbury Library and learn how you can do-it-yourself. 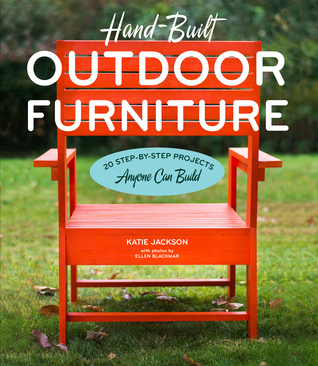 In Ms. Jackson’s book, “Hand-Built Outdoor Furniture: 20 Step-by-Step Projects Anyone Can Build,” she covers the basics of woodworking and guides readers through projects such as Shaker pegboard shelves, stair-step planter boxes, and much more. The program is free of charge. Registration for the program is required online at danburylibrary.org, click on “Events” or call 203.797-4527. The Danbury Library is located at 170 Main Street, Danbury, CT.
Another Year Ends: What Are Your Expectations for the New Year?